In 1858 Royal Assent was given for a ‘branch’ line to be built between Kirby Stephen and Penrith, via Appleby. The purpose of this line was to connect to the Lancaster to Carlisle line at Clifton (near Penrith). It took four years to build, taking freight traffic on 8th April 1862 and passengers on 9th June 1862. It soon became the ‘main’ line (with the Tebay section; which closed in 1952; becoming the branch line) running five trains a day between Kirby Stephen and Penrith, carrying passengers, goods, milk (from the Appleby dairy), troops (from MoD land at Warcop) and excursion trains. 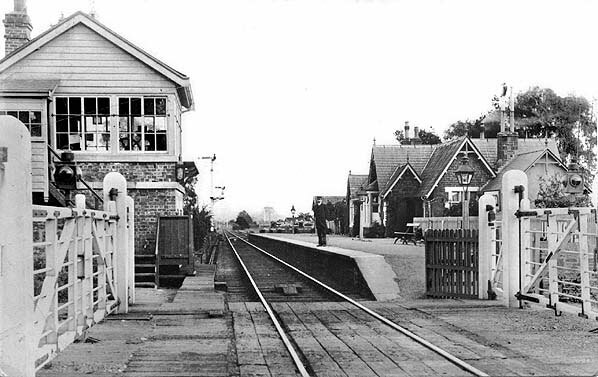 Cliburn Station was one of six small stations (with signal boxes) between Kirby Stephen and Penrith. It opened on 9th June 1862 and closed on 17th September 1956, shortly before the whole line closed on 22nd January 1962. The property was initially bought by Mr N Egglestone in October 1964 and was sold to Mr G & Mrs W Matier in October 2004. On 18th April 2006 Eden District Council gave permission for the Signal Box and the Weigh Office to be converted to a holiday lets. In August 2012 the Signal Box was completed and in June 2015 the Weigh Office was completed.